By installing photovoltaic panels to produce power, you create the potential to minimize, eliminate or even reverse your monthly energy costs! If you looked at photovoltaic energy in the past, but considered the costs prohibitive, improvements in efficiency and technology combined with different incentives have considerably reduced the bottom line. 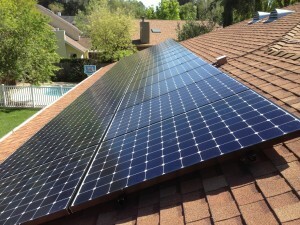 Solaron is assisting customers throughout West Sacramento to attain these benefits from photovoltaic energy. Once you decide to make the photovoltaic investment, you want to install panels that are reliable, durable and efficient. For photovoltaic power, Solaron only installs SunPower photovoltaic panels. Located right here in California, SunPower maintains direct oversight of the entire assembly process. Years of applied product development enabled SunPower to lead the photovoltaic industry in efficiency combined with affordability and ease of installation. So you acquire the best photovoltaic panels available, with the least amount of trouble, especially when you select Solaron as your contractor. An Authorized Dealer with SunPower, we have a close relationship and ready access to the panels you want for the best possible customized photovoltaic array. For a winning team, call Solaron for a terrific product installed by a reliable company!